So here we are with Issue 3! It’s a real doozy! This issue, we have included yet more techniques and tutorials, and, with some arm twisting, we have the same number of backing papers (which, incidentally are just gorgeous!) 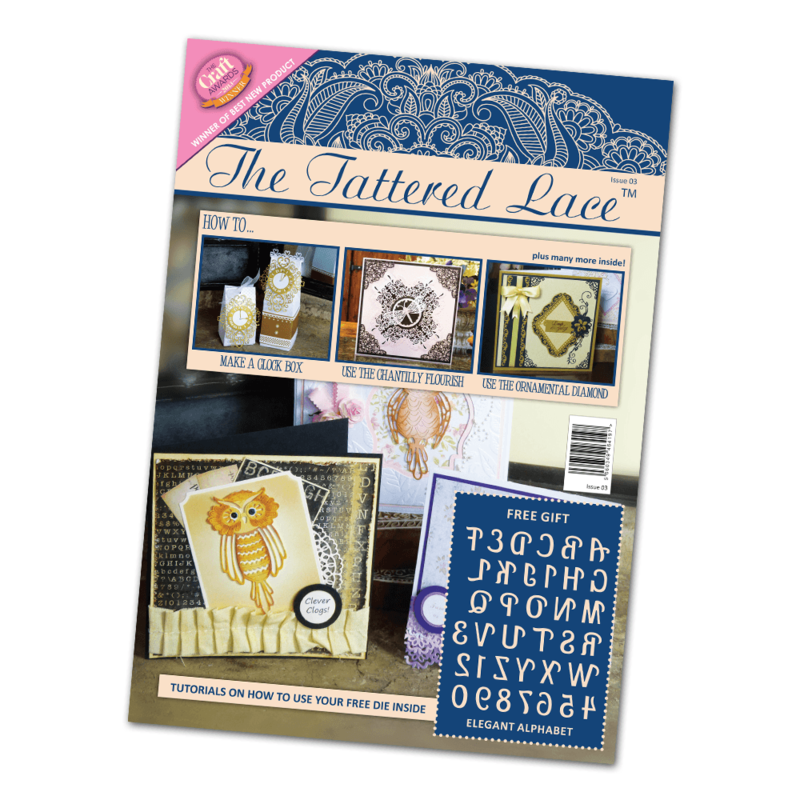 We introduce you to some of our new Tattered Lace dies and get reacquainted with some favourites too.